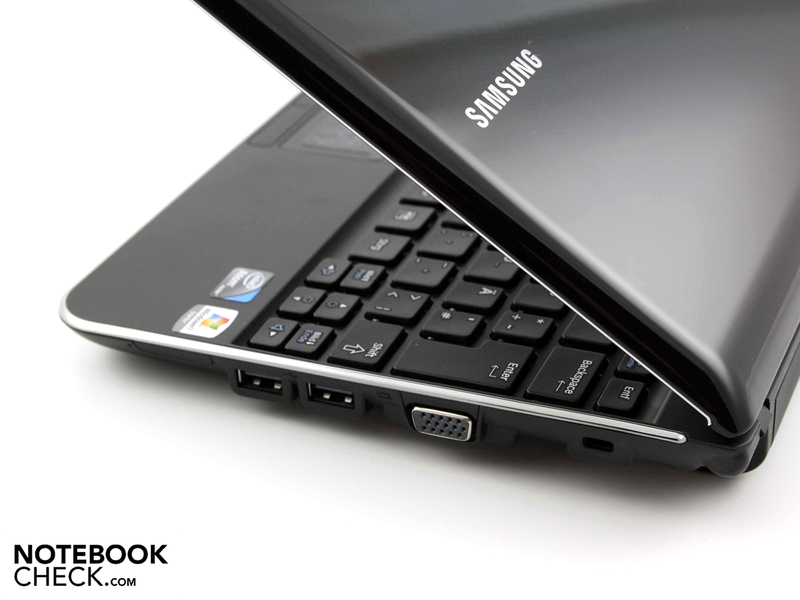 This 10-inch Pine Trail netbook from Samsung turns out to be a solid all-rounder. Though not green as promised, its ergonomic design, battery life and keyboard are quick to impress. Surprisingly, its Duracase surfaces stayed very cool despite the fan making almost no sound at all. 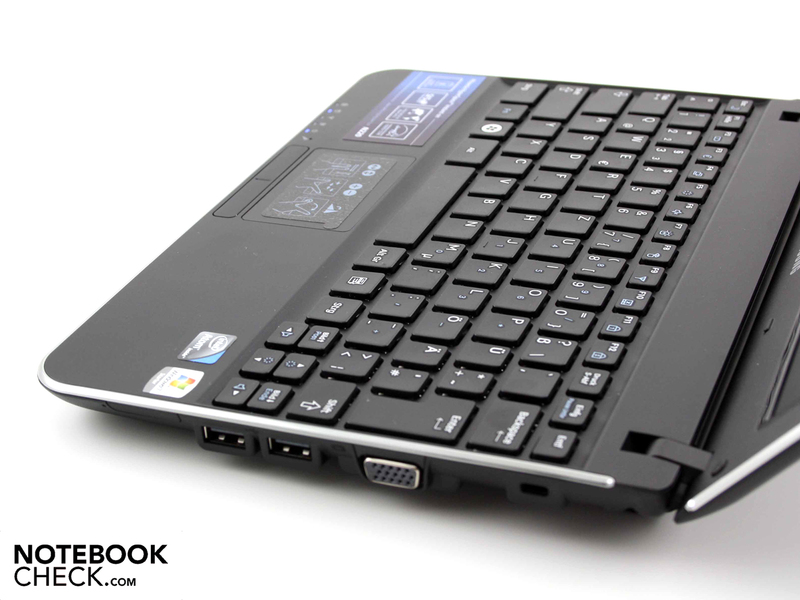 If you are looking for the latest technology in an uncompromisingly good netbook, this could be the one for you. 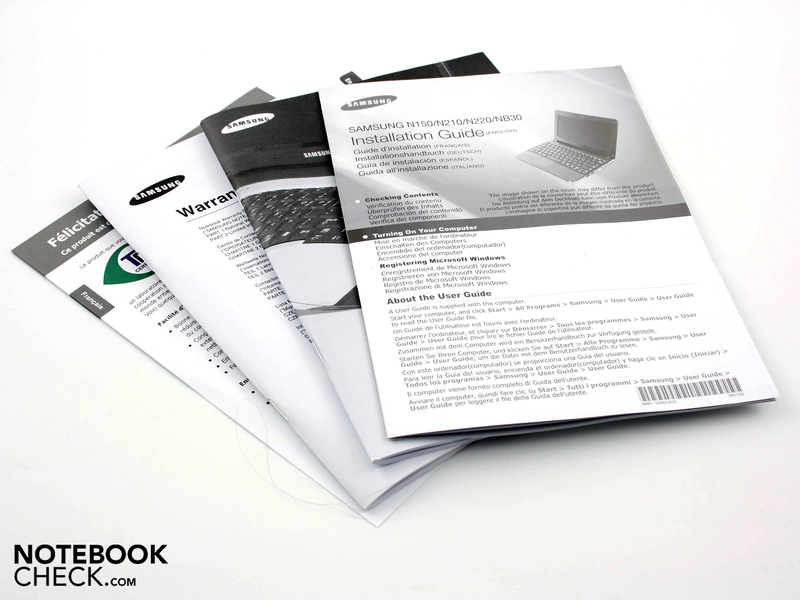 Samsung has become an interesting and certainly more successful manufacturer of mini-notebooks in the last couple of years. 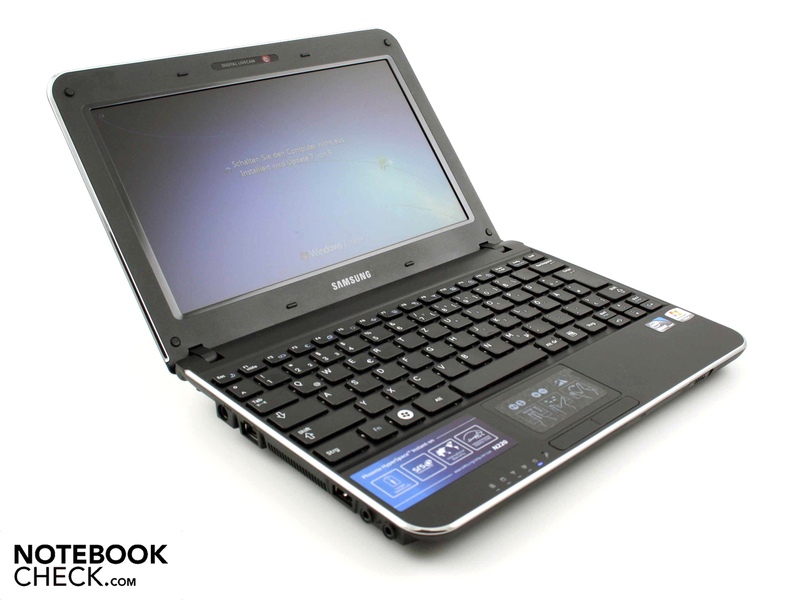 The NC10 Winchester, the first netbook from the South Korean firm, had many buyers and supporters. This was thanks to its high-quality of workmanship, and the great portability afforded by its long battery life and anti-reflective screen. The N110, its 10-inch successor, was a departure from this in more than just name. The matt screen vanished, to the great disappointment of many netbook fans. The N130 and N140 followed, hitting the market in time for IFA '09, the consumer electronics trade fair in Berlin. They briefly captured people's attention, but did not inspire sustained interest. The workmanship was, as before, very good, but visually and in terms of battery life it was entirely average. Its matt screen was no longer a unique selling point. 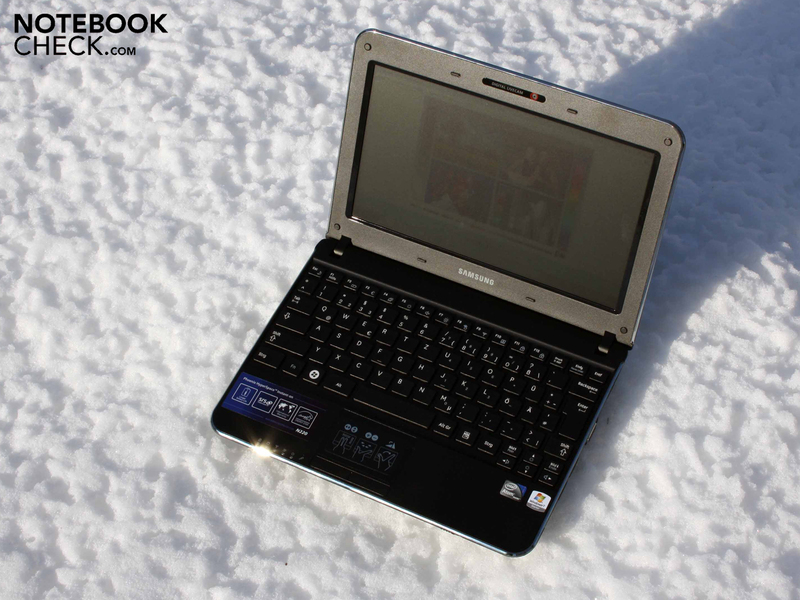 Many other netbooks had one in the 2009 Christmas season. 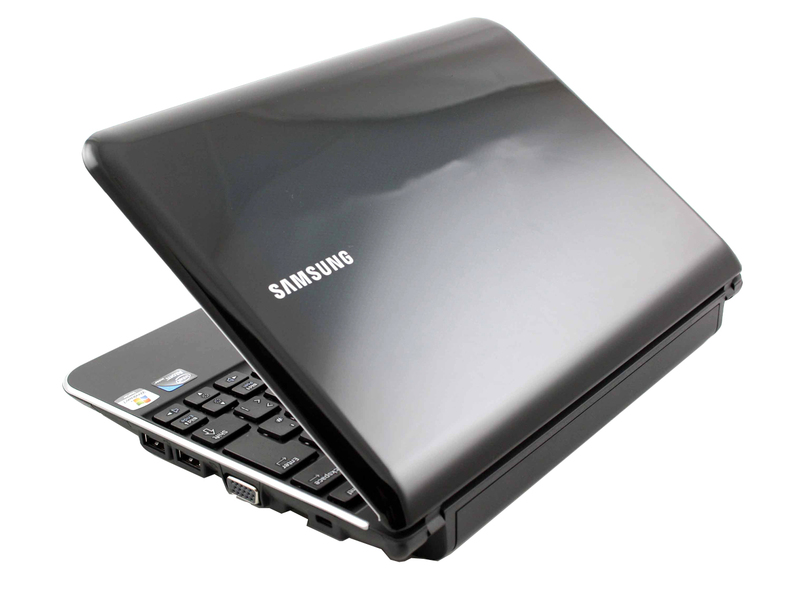 Now Samsung is letting its Pine Trail netbook, the Samsung N220 Maroh, loose on the highly competitive netbook market. We are testing the NP-N220-JA03DE, a model described in the product blurb as having a green-black colour. 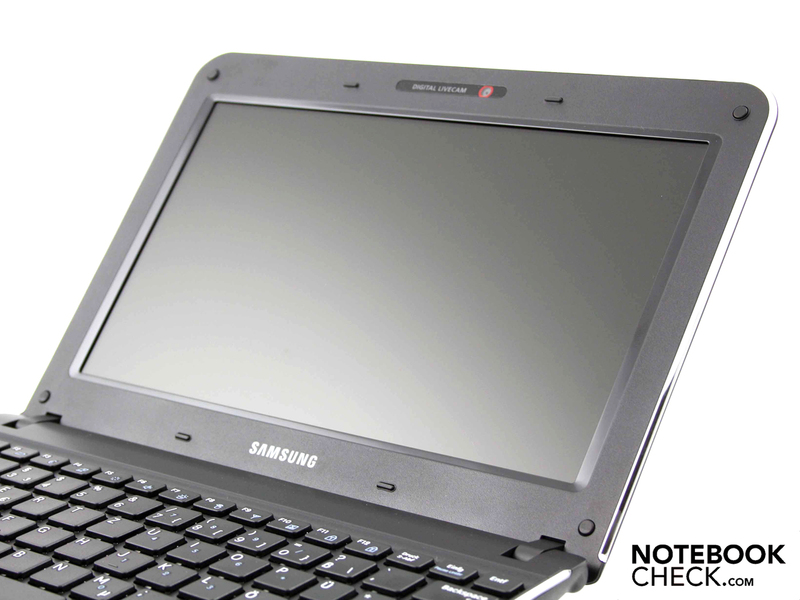 During testing it quickly became clear: Samsung has made a good job of this netbook and it could easily recapture the success of the NC10 Winchester. The words that best describe the case of the N220 Maroh are 'modest elegance'. The matt surfaces inside the case shimmer with a slight mica effect. They feel pleasantly dull and do not pick up fingerprints. However, this makes fingerprints on the high-gloss lid all the more noticeable. Samsung's experts have created a 3D effect in the plastic, although it is only evident on closer inspection. A thick, transparent layer covers a dimpled, slightly greenish surface. 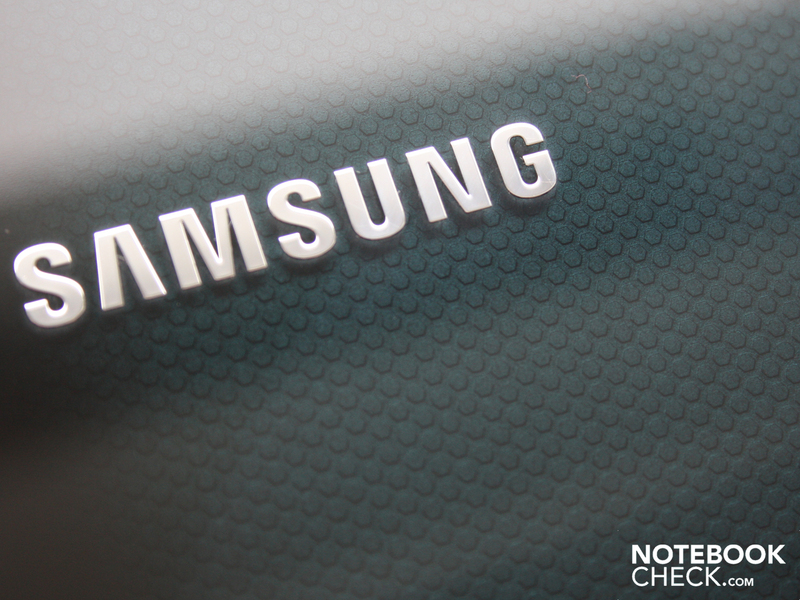 The silver Samsung logo is fixed to the top layer and so appears to hover over the crystalline green background. 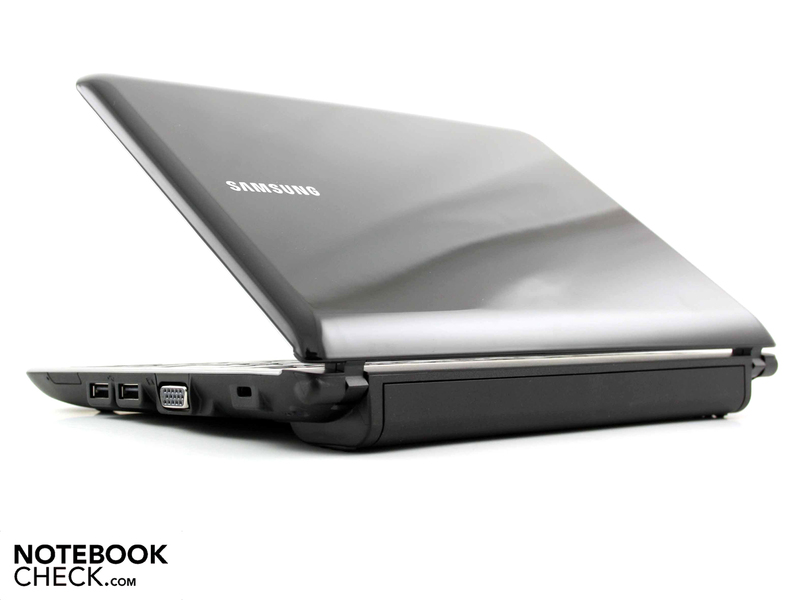 The chrome strips bordering the lid and the base unit are a consistent feature of the higher quality Samsung netbooks. It gives them a touch of elegance, without overdoing the reflective surfaces. Samsung describe the N220 as having a robust case with 'Duracase' architecture; and it is not a hollow claim. Grasping the case with both hands, we could hardly bring it to bend at all. Of course it was a little easier to make the lid flex, but it required considerable force as the lid is unusually rigid. The same goes for the underside of the N220. We could only make an impression on the hatched surfaces of the memory access panel and the air intake vent. The case is even robust when the six-cell battery is removed. The hinges move easily and are mounted firmly. Users will need both hands to open the lid, to overcome the initial resistance holding the lid to base unit. The maximum angle it opens to is good enough for viewing the screen even while on public transport. 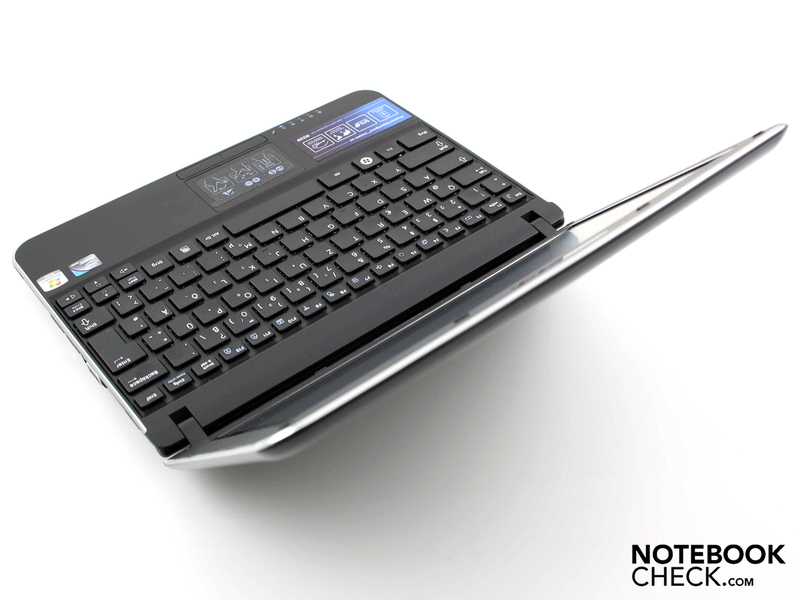 The netbook's centre of gravity is in the base unit, so the netbook does not tumble out of your lap. 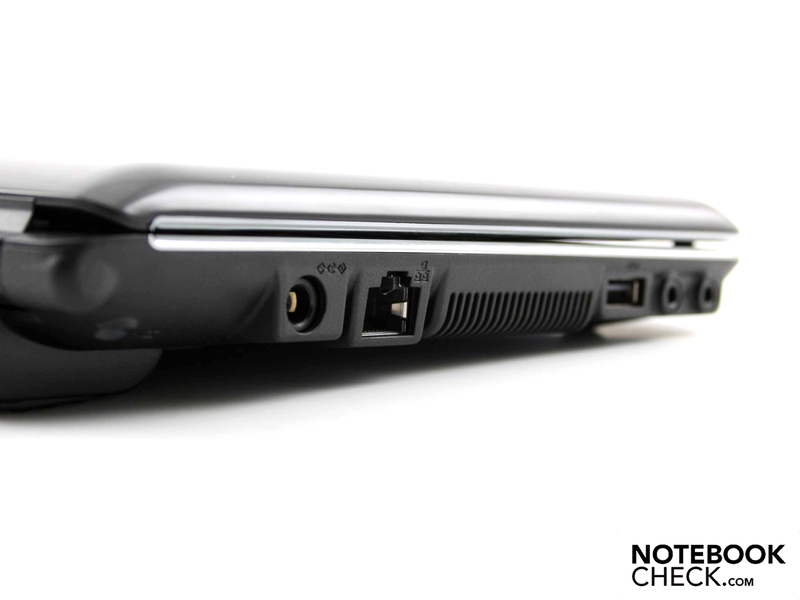 As you would expect from a netbook, the N220 has a pared down selection of ports. The new Intel Pine Trail platform may give OEM manufacturers many options, but it does not provide more connectivity per se. On the left-hand side, near the power socket, there is an ethernet port. There is also a USB port near the front, as well as the audio ports. The USB ports have a charging function which can be activated with software. This allows users to charge their MP3 players, for instance. The right side of the case has a VGA connection and two further USB ports. 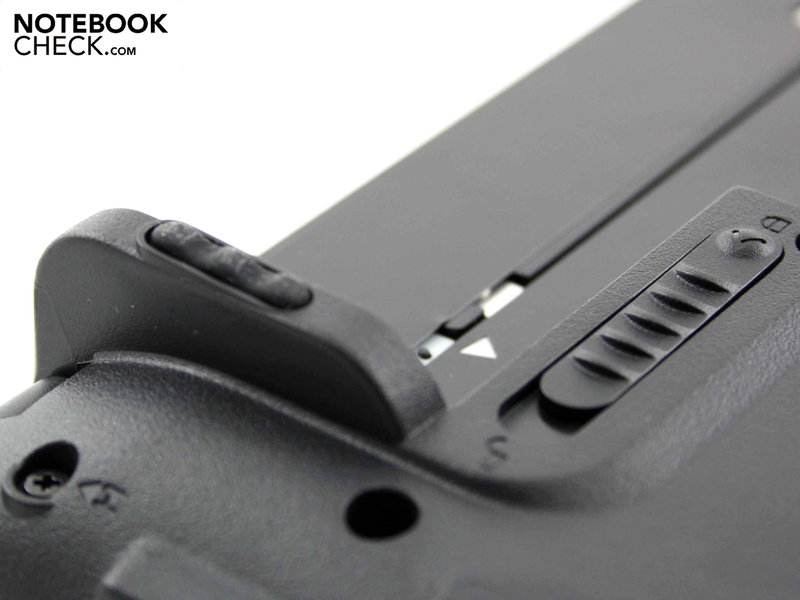 You can protect against theft by using the Kensington lock slot to chain the N220 to the desk. 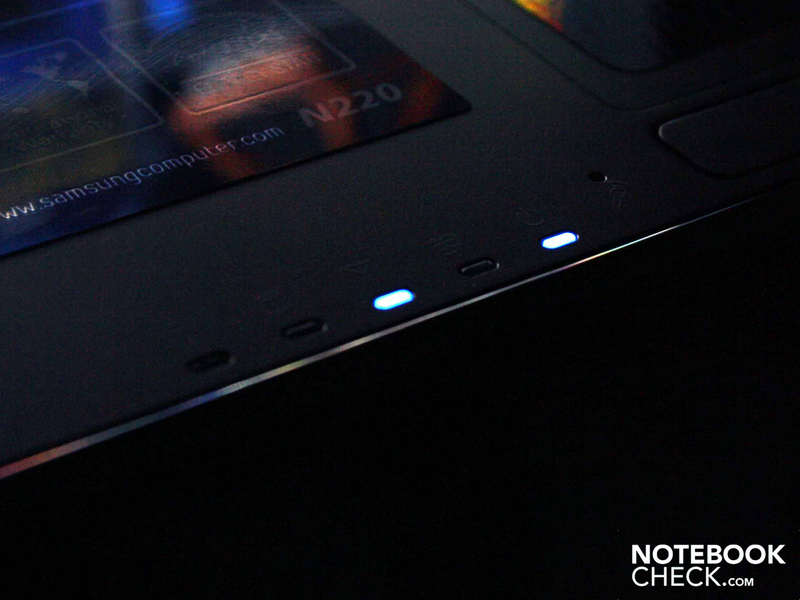 There is also a card reader on the lower front edge of the N220, which we almost overlooked. A small plastic dummy occupies this port for memory cards from digital cameras. 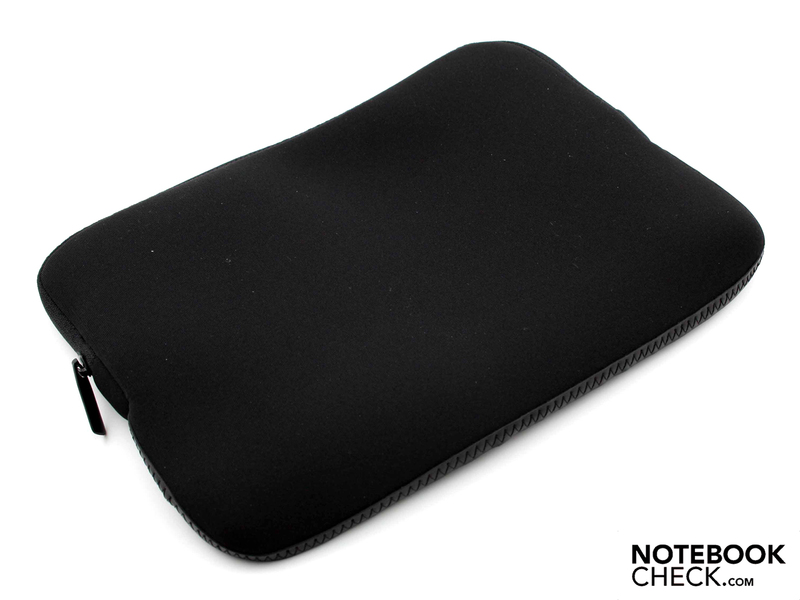 The soft carry case which is included is lightly padded to protect against impact and scratches. 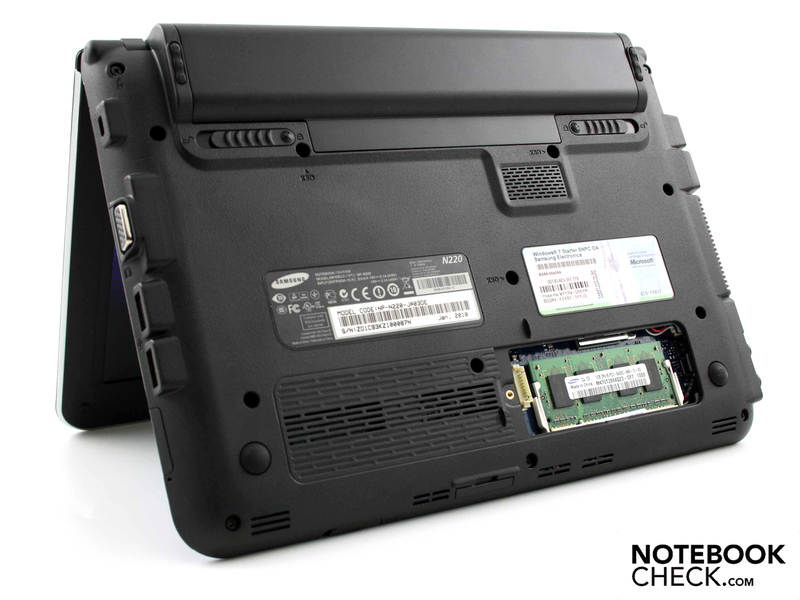 But it does not protect the netbook from serious damage when dropped. 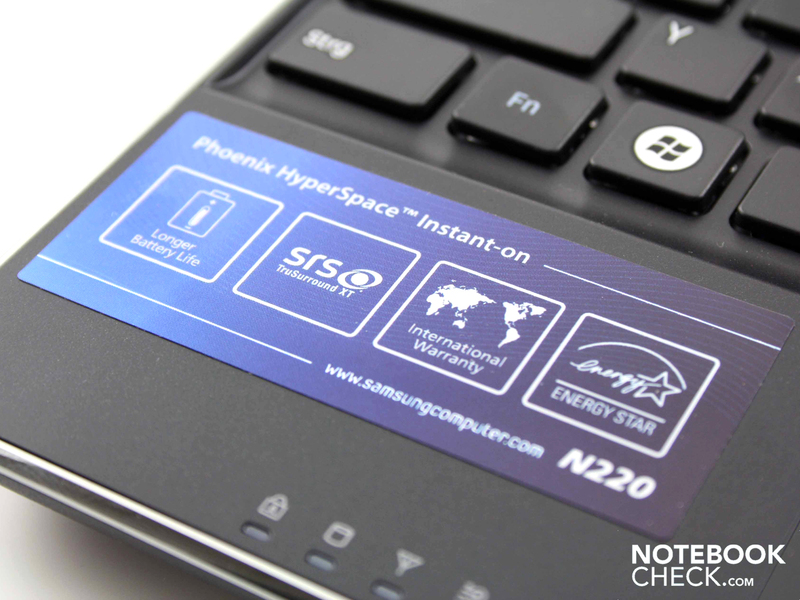 HyperSpace is not just a science fiction concept, but also the name of the N220's instant-on operating system. It allows the user to surf the net, chat online or watch video clips without waiting a long time for the system to boot, and without the drain on processing power that comes with a Windows operating system. There is no physical switch on the N220 Maroh for booting this Linux based OS. Users have to change the start-up option to instant-on in the 'HyperSpace Control Center', and from then on HyperSpace will start up first. Once it has done so you have the option of switching into the Windows operating system. The miniature operating system offers a limited set of functions such as accessing Google Mail, tracking stocks or viewing images. Using the instant OS should increase battery life. 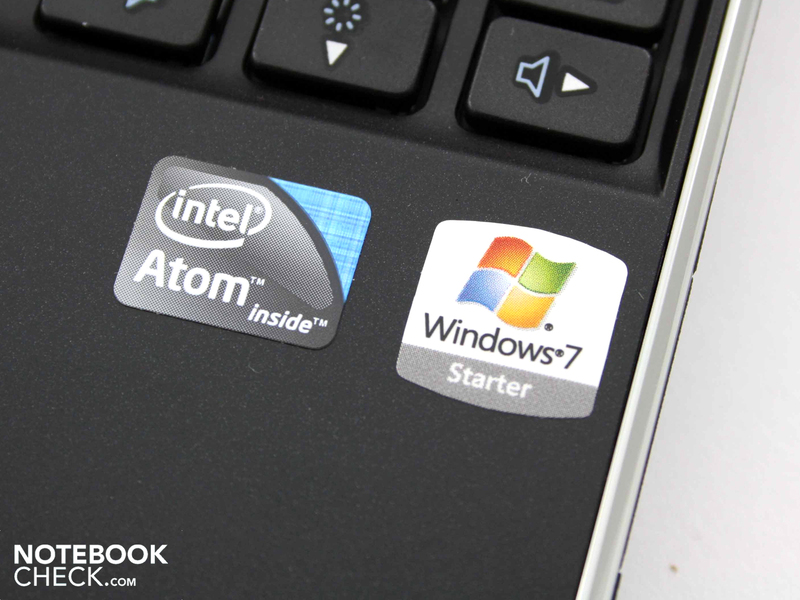 It does use the hard drive and the Intel Atom N450 processor, but it spares the background applications of the Windows operating system. Linux based instant-on operating systems have been around for a couple of years already; for example, Asus notebooks have 'Express Gate'. But this kind of secondary OS hasn't really caught on yet. Why should users switch from their familiar Windows system to a slimline OS only fit for surfing the web? We can't help asking the same question about HyperSpace. It does not give users access to their files. However, it does have one novelty, which is that you can switch between Windows 7 and HyperSpace with one click. 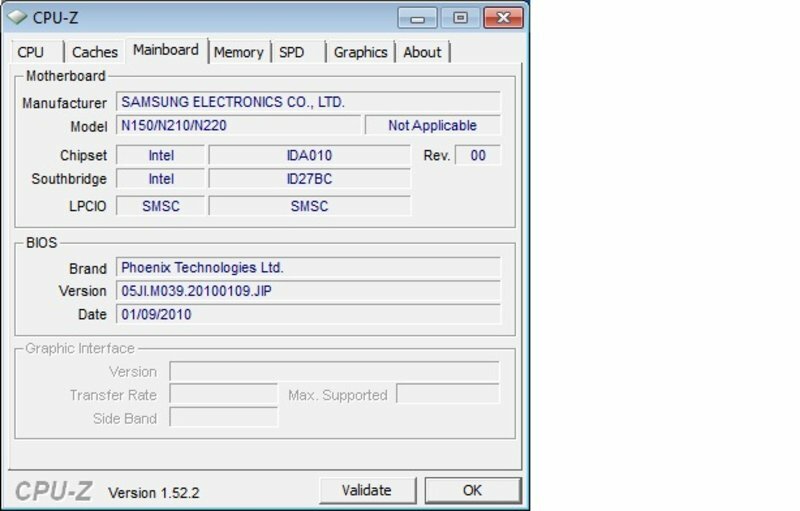 The Flash operating system is not Samsung's own development, but is related to the Phoenix BIOS. A few words about our experience of HyperSpace. The WLAN connection was quickly established, just like in Windows. Unfortunately we were confronted with Korean keyboard responses when we opened the web browser. But we managed to find our way to the English language option. Also, if you are hoping to use a mobile internet USB stick you may be out of luck. The drivers and remote access software for these UMTS sticks are almost exclusively made for Windows. We found the 60-day trial versions of FailSafe and AnyPC to be somewhat irritating. FailSafe is a locating program, in case the netbook is stolen or lost. It does not cause the N220 to self-destruct a la James Bond, but it does erase or encrypt sensitive data. This happens the first time the unauthorised user goes online with the machine. FailSafe is definitely a worthwhile option for those of us who are particularly security-conscious, but everyone else will just be annoyed by its continual interruptions. AnyPC behaves more calmly. 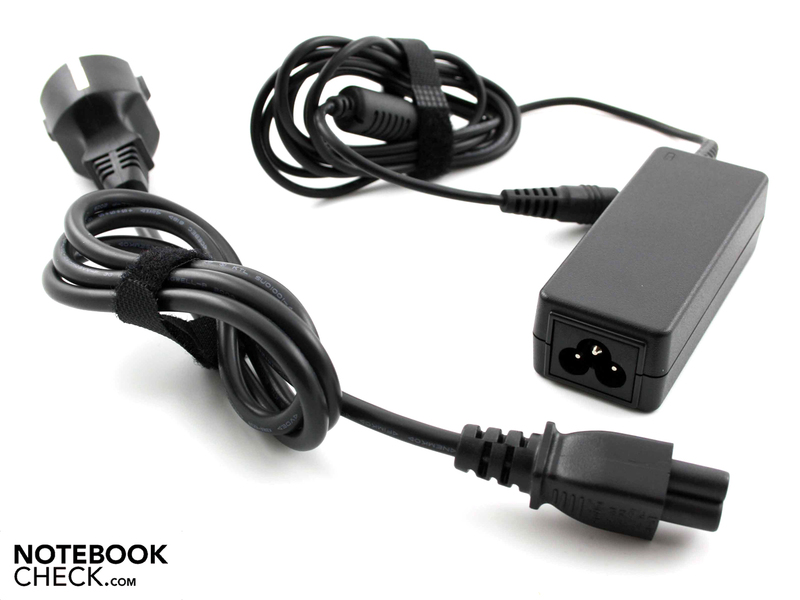 The tool (which you have to purchase to keep beyond the trial period) allows you remote access to another notebook, if it connected to the internet. 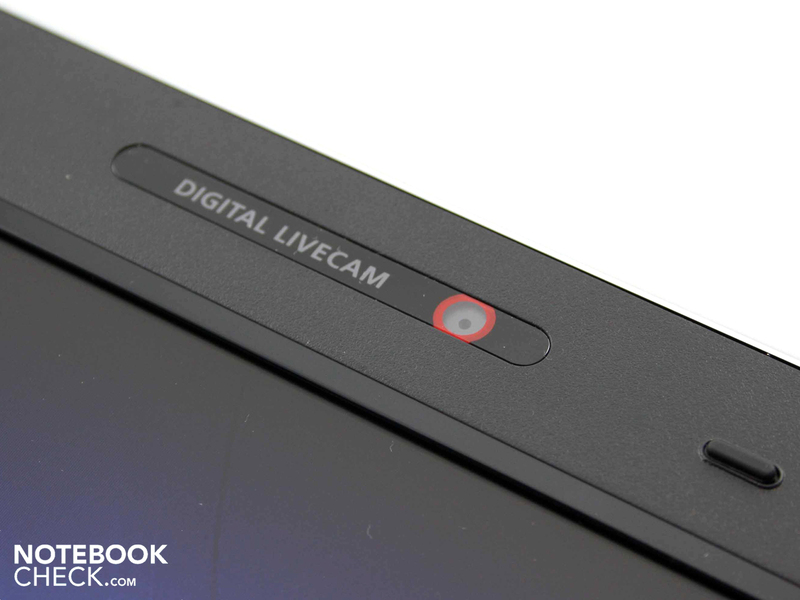 The VGA webcam may be called 'Digital LiveCam' but it does not deliver life-like pictures, even in good lighting conditions. The noise on the 640 x 480 pixel test photo that we took is very pronounced. The colours are washed-out and not true to life. Videos can only be taken in 320 x 240 (QVGA) format. These video clips or video chat sessions have the same issues as the photos: noise and poor colours. 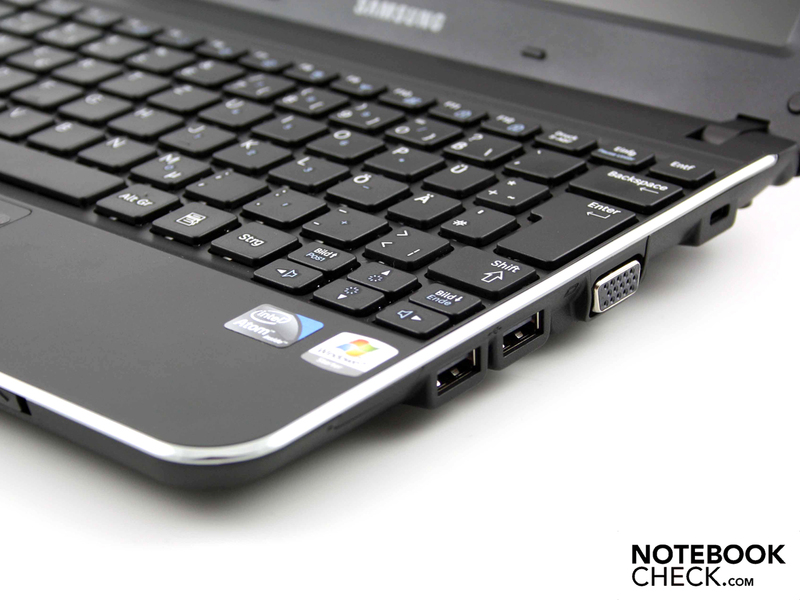 Even on the first Samsung netbook, the NC10, the keyboard was one of the highlights. The same is true of this one. The keys have plenty of travel, and are firm and responsive. The keyboard does not flex at any point. There is good separation between the keys, and even the tactile markers on the F and J keys are easy to find. 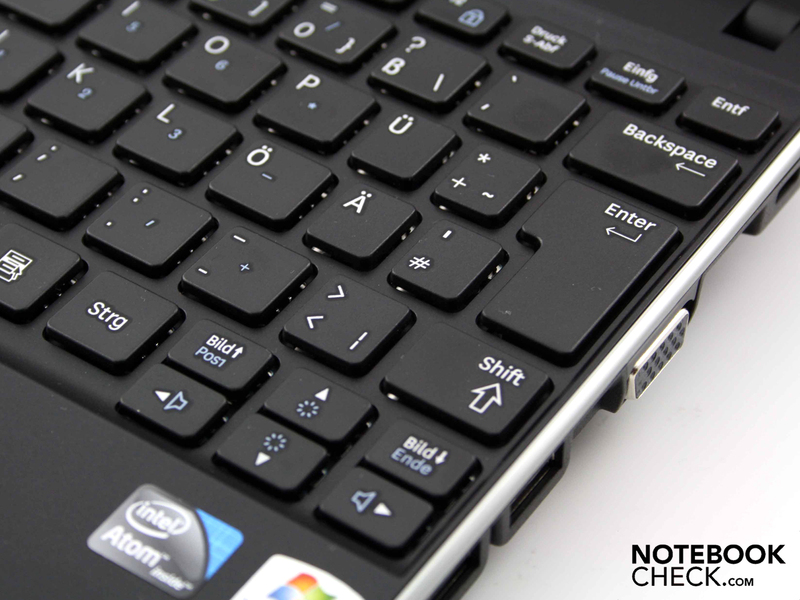 Perfectionists may bemoan the small surface area of the keys, but this is practically unavoidable on a netbook. 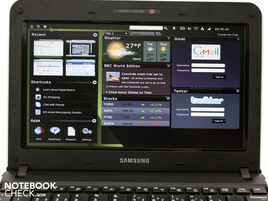 The multi-touch touchpad by Synaptics can, as usual, be customized in a variety of ways. For example, if you are irritated by two-finger scrolling, you can simply turn it off. If you can't get enough of the multi-touch gestures, you can activate the three-finger flick. This lets you flick through photos or skip forward and back from one webpage to another. The surface of the pad remains sensitive right up to its edges and is pleasantly matt. It does not have horizontal and vertical scroll bars marked on it. 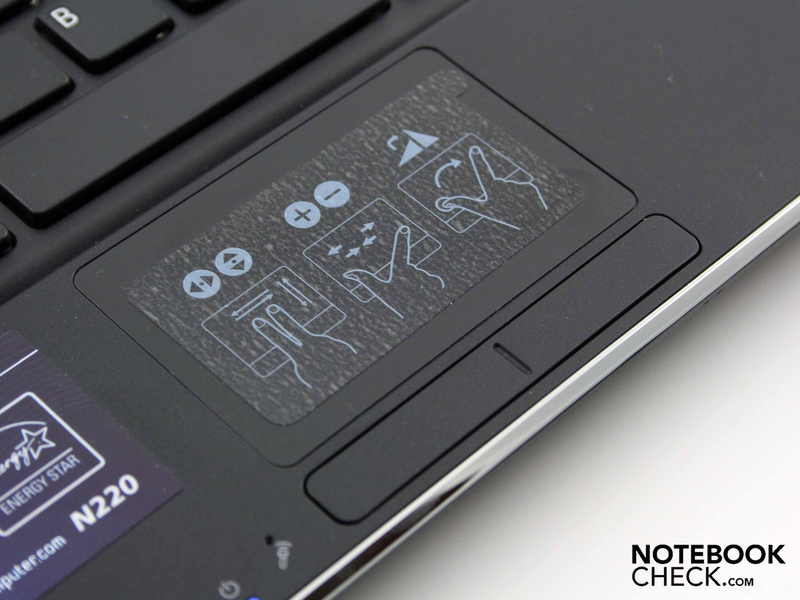 The touchpad buttons depress to a sufficient depth and do not click too loudly. Samsung has been using matt screens again since the N140 and N130. This 10.1-inch WSVGA screen has a native resolution of 1,024 x 600, which is standard for a netbook. Unfortunately so are the low contrast ratios; we measured 251:1, along with an average overall brightness of 226.6 cd/m². 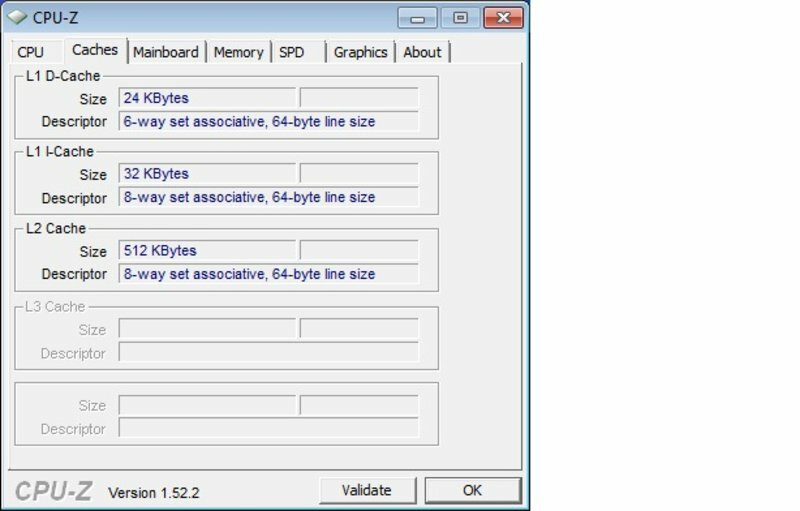 If you are not happy with the low WSVGA resolution of 1,024 x 600, you can force the screen resolution up to 1,152 x 864. The distorted image that results is not especially attractive, but this way you can fit in the whole of the notebookcheck home page, for example. The maximum screen brightness is a respectable 242.7 cd/m². The average across the whole surface is 226.6 cd/m², although the brightness does sink to 194.9 cd/m² in the upper left-hand corner. 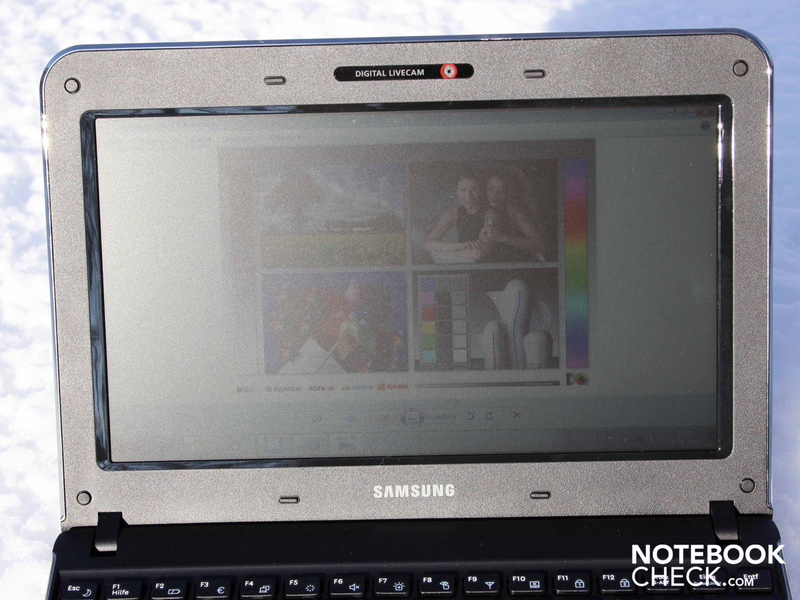 Samsung has made the right choice and used an anti-reflective screen. This lets you surf the net in sunlight without being bothered by reflections. The 10.1-inch screen starts to reach its limits in blazing sunlight, as in our photo, despite its excellent brightness. 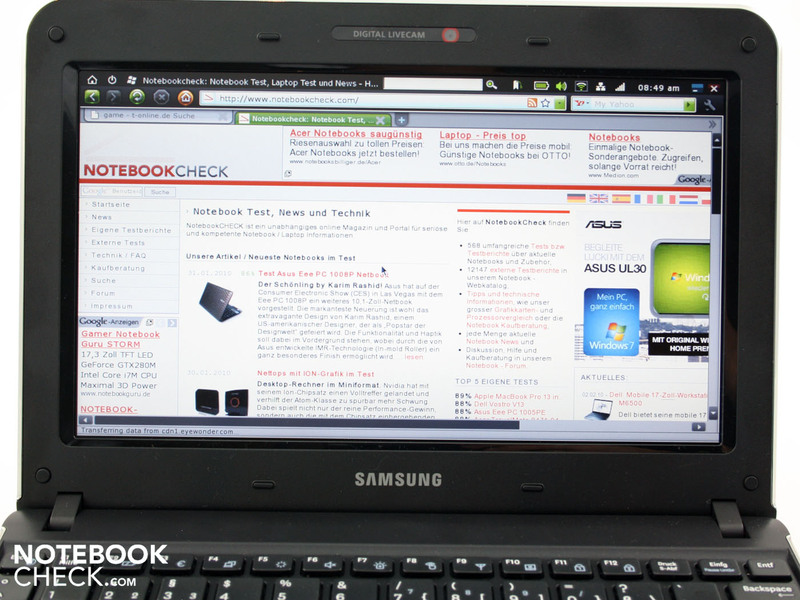 The horizontal viewing angles of the Samsung N220 netbook are good. Up until about 60 degrees, you can still read text and colours are hardly distorted. Vertically, the eye of the observer can deviate by about 20 degrees before the picture starts to darken. With a 45 degree deviation, so for example if you are looking at the screen from above, the colours are seriously inverted. 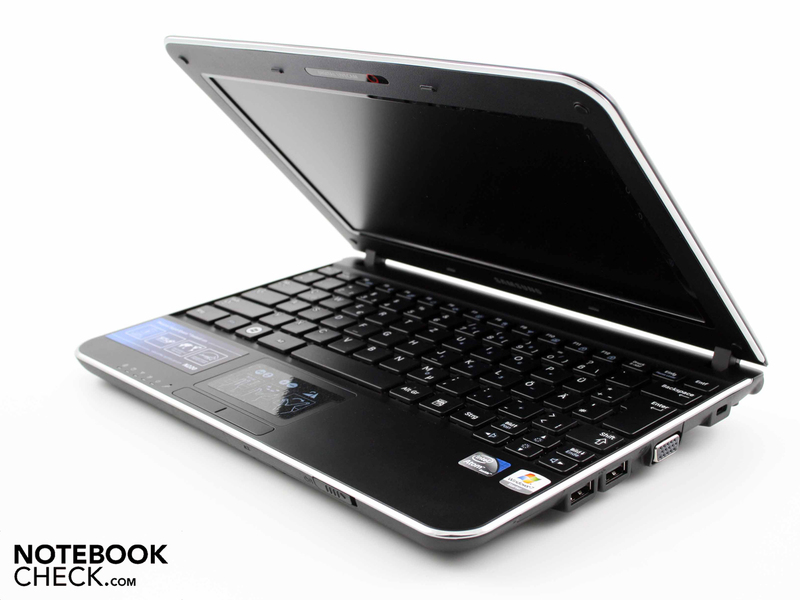 This Pine Trail netbook is fitted with an Intel Atom N450 processor (1.66 GHz), with an integrated GMA 3150 graphics card, which does not have its own memory. The processor has a small L2 cache of 512 KB, like its forerunners the Atom N270 and N280. The FSB is 667 MHz. In terms of performance specs it is only a marginal improvement on the previous Atoms. Intel's hyper-threading technology gives applications the use of a second, virtual core; this means that the single-core processor can cope with a multi-tasking operating system like Windows 7 or XP, despite its lack of real processing power. The processor is supported by 1,024 MB of RAM as well as a 250 GB hard drive by Seagate. 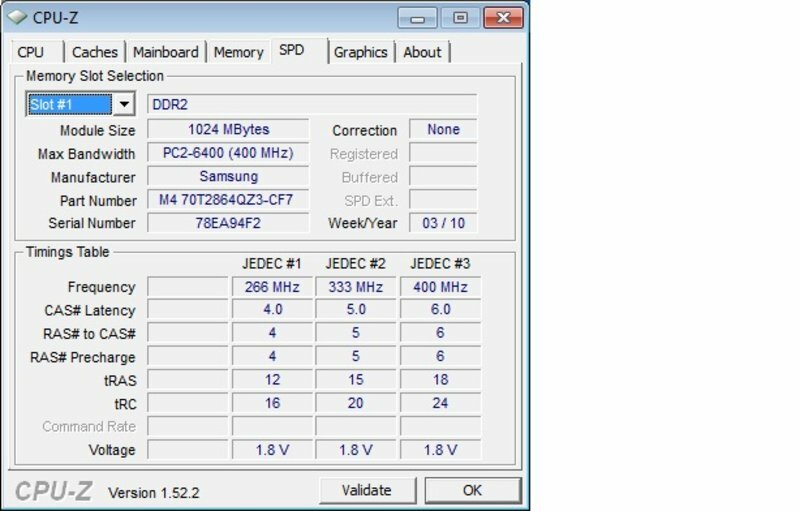 The DDR2 SODIMM memory can quickly become a bottleneck. 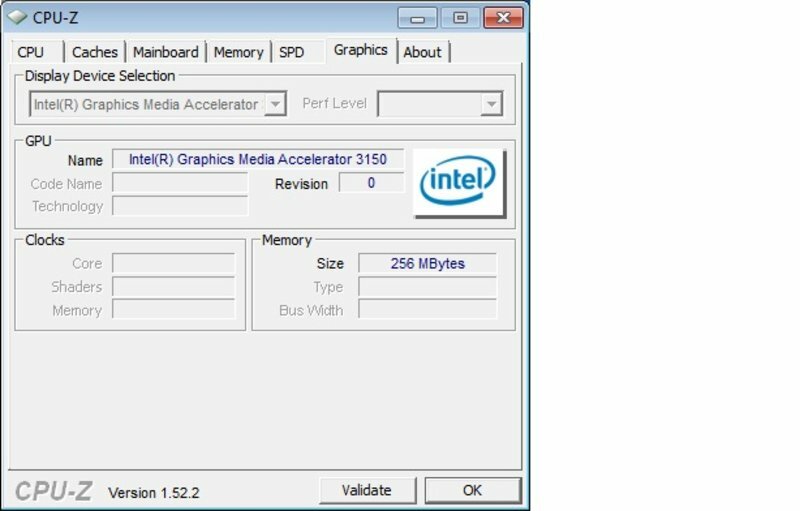 If the instant-on operating system HyperSpace uses between 128 and 512 MB and the GMA3150 can help itself to up to 256 MB, it doesn't leave much left over for programs. Of course HyperSpace only takes up this memory when it has been enabled. 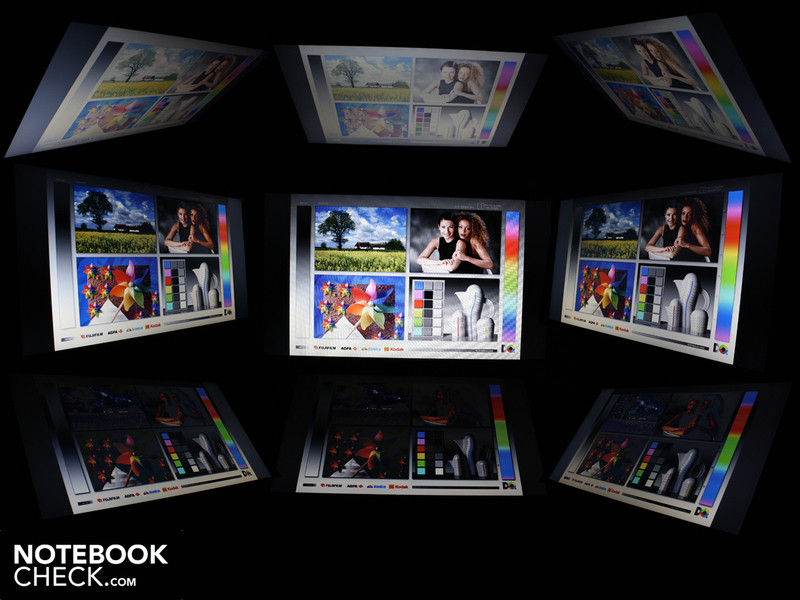 Graphics performance is practically non-existent, as with the GMA950 and GMA500 in the first generation of netbooks. The DirectX9 GMA3150 GPU is integrated into the processor and performs just as badly as its predecessors in the 3D benchmarks. For example, it completes the 3DMark2006 test with 140 points. As a comparison, entry-level gaming notebooks with comparatively weak graphics cards achieve from 5,000 to 6,500 points in this benchmark. The GPU's support for HD is also weak, in that there is none. As a result, the N220 has the same shortcoming as its predecessors: 720p and 1080p encoded videos cannot be played smoothly without juddering. 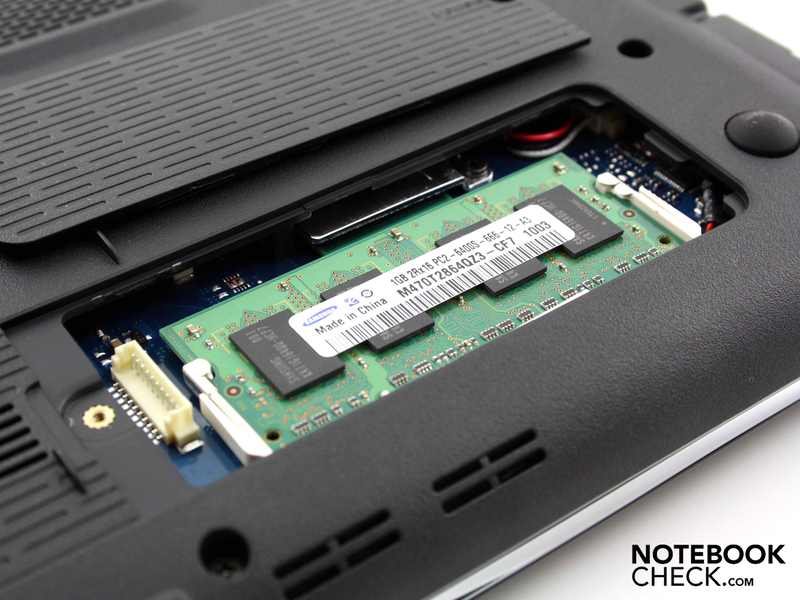 Our synthetic processor benchmarks show the 1.66 GHz Intel Atom N450 processor to have a slightly improved netbook performance. 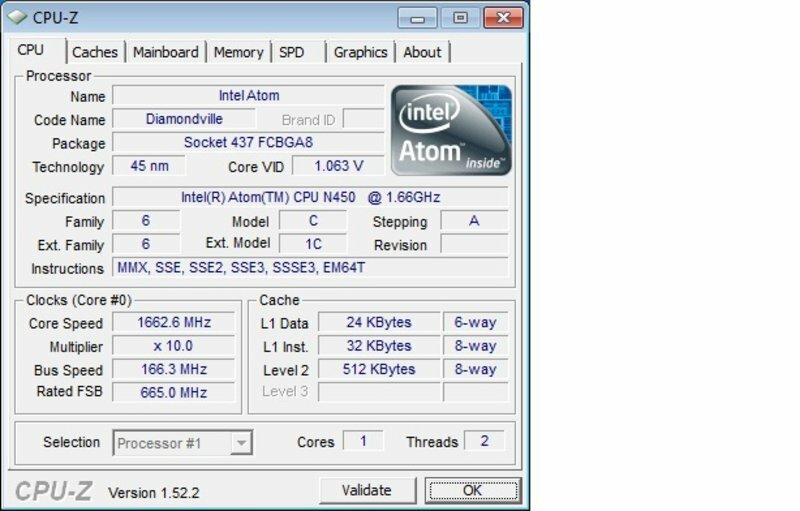 However, users will not generally notice the difference between the processor completing the WPrime CPU test in 3,719 (N220) or 3,900 seconds (N270). It is more important to note what the application performance felt like under Windows 7; it was not particularly good. Even in high performance mode there is a noticeable delay when opening folders, files or new applications. We also experienced substantial delays when applications were running simultaneously. Having five tabs open on a browser, whilst listening to music and writing emails in Thunderbird? This scenario results in considerable sluggishness. It doesn't at any point feel like using a proper notebook. 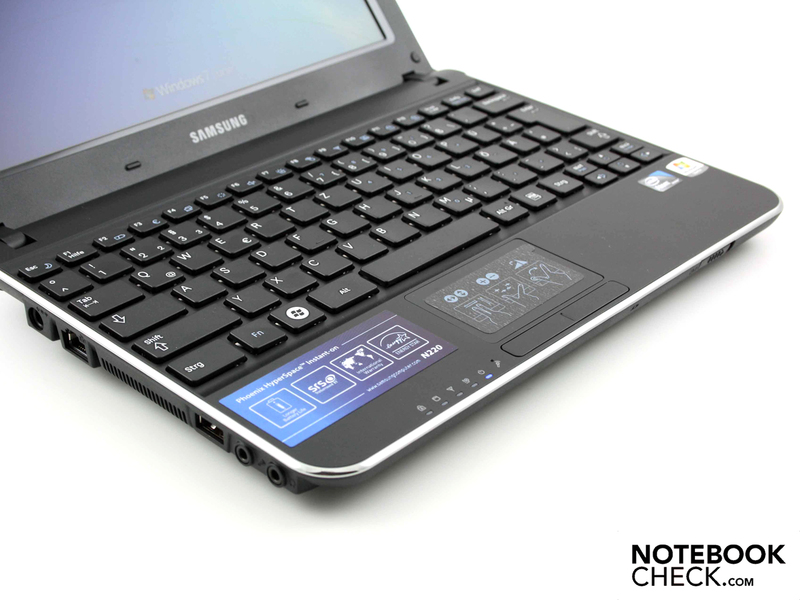 Whether the user can come to terms with the low performance of the system depends on what they want the netbook for. Wirelessly surfing the net and reading emails is never a problem. 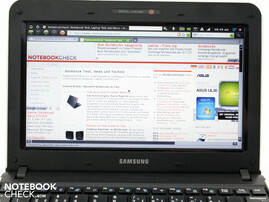 But the Samsung N220 Maroh is no substitute for a notebook. The latencies (time delays) under Windows are important for some users. If these are too high it can cause issues when external devices are connected (for instance, crackles of sounds with external sound cards or short interruptions in real-time audio). 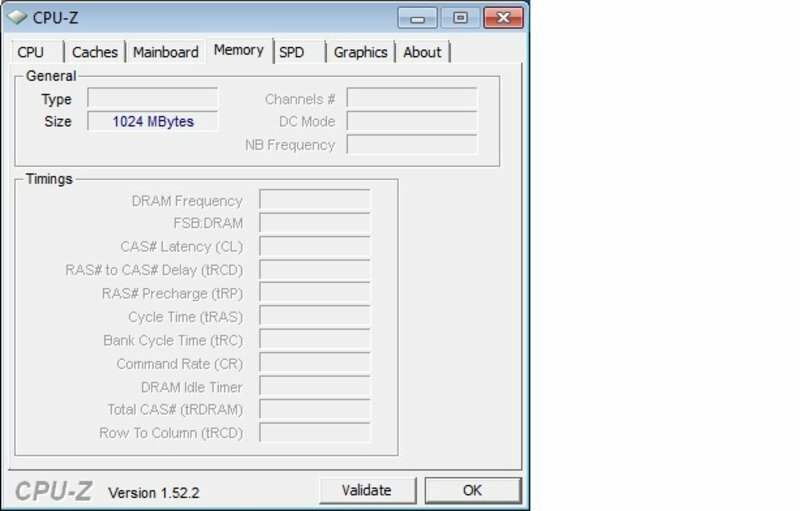 The N220 does not put in a shining performance in this area: from time to time the latencies stray out of the safe zone below 500µs, according to the DPC Latency Checker tool. 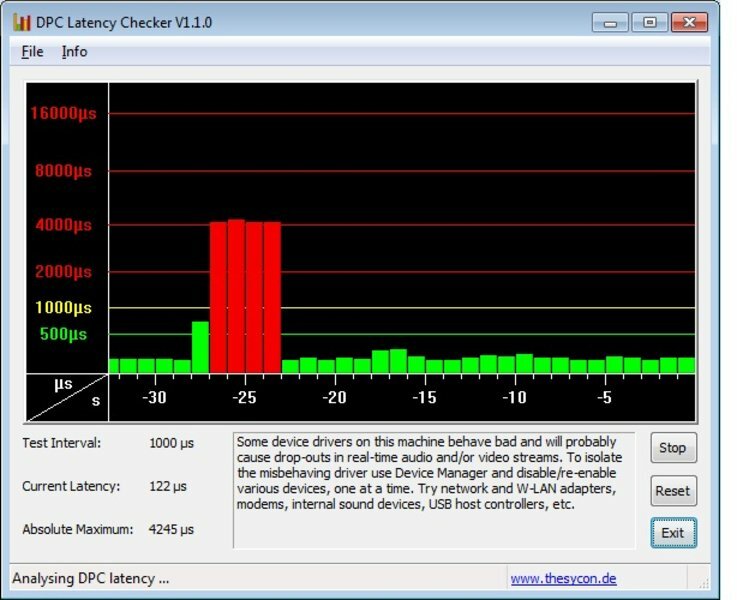 This is generally caused by faulty drivers for internal devices like the WLAN adaptor, sound card or USB host controller. The Seagate hard drive (type ST9250315AS), with a total capacity of 250 GB, achieves a good throughput rate in the HD-Tune benchmark. 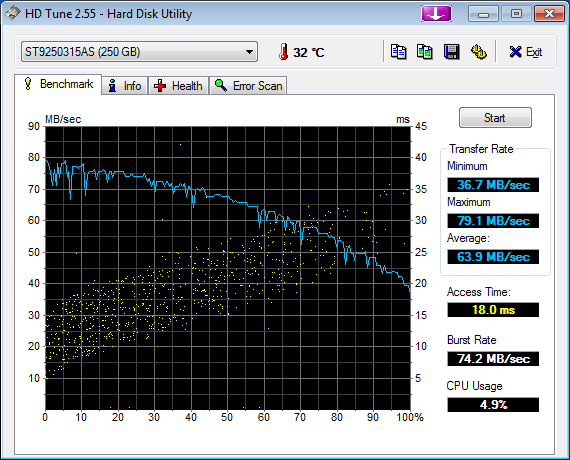 64.1 MB/s in the sequential read test is a good rate for modern 2.5-inch notebook hard drives. The hard drive is also practically inaudible, even when the reading and writing heads are very active. One of the best things about the Samsung N220 Maroh is its low system noise. For hours it produces virtually no sound, unless you put the N450 processor under constant stress. The fan almost never comes on, even when using mains power. When it does come on, it makes only a minimal amount of noise. It has no speed settings: just on and off. Since the soft purring of the fan was almost at the level of background noise in the room, we had a difficult job measuring the volume. The most we registered was 29.9 dB(A). Meanwhile the netbook's temperature gain was also extremely low. 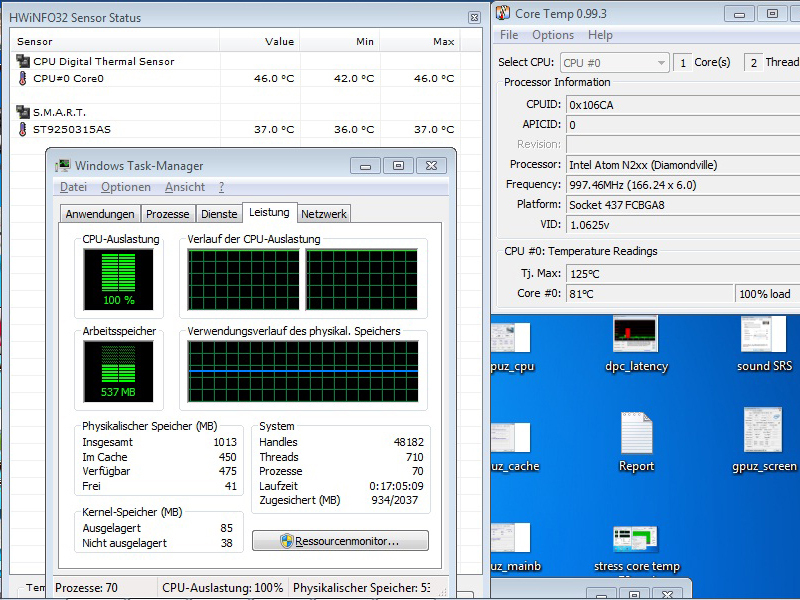 The highest temperature we measured was 36.3 °C, but to get that we had to subject the processor to heavy use for two hours. The average temperature of the surface around the keyboard was only 30.8 °C throughout this stress test. The processor temperature reached a maximum of 81 °C, but to get it over the 80 °C mark we had to put the N220 on a blanket, covering up the air vent on the underside of the machine. Those people using the Samsung N220 Maroh for web surfing, emails and video clips should enjoy a pleasant temperature between 21 and 25 °C. 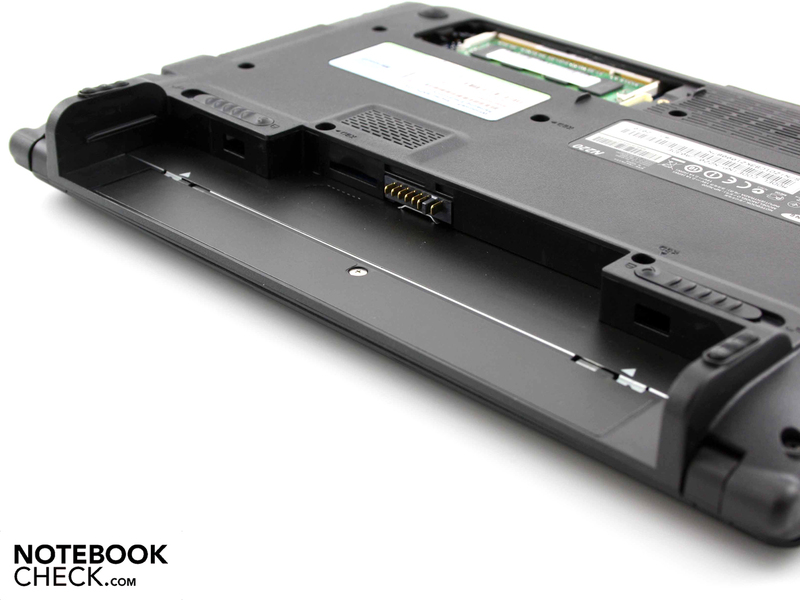 This is true of both the upper side and underside of the netbook. (+) The maximum temperature on the upper side is 36.3 °C / 97 F, compared to the average of 33 °C / 91 F, ranging from 21.6 to 53.2 °C for the class Netbook. (+) In idle usage, the average temperature for the upper side is 23.4 °C / 74 F, compared to the device average of 29.8 °C / 86 F.
(-) The average temperature of the palmrest area of similar devices was 29.3 °C / 84.7 F (-2.9 °C / -5.3 F). The N220's loudspeakers are positioned below the palm rest area and direct sound towards the desk it is resting on. There is too much emphasis on the higher frequencies. Demanding listeners will quickly turn to headphones on account of this unbalanced sound quality. The SRS sound improvements only make matters worse and should be deactivated. At higher volumes the small speaker membranes rattle, especially with heavy rock music. The 3.5 mm headphone jack delivers a clean sound output. 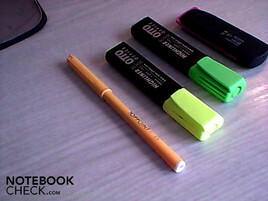 If you want to listen to music with this miniature notebook, you would be well advised to attach external loudspeakers. Our wireless internet surfing test gives you a good idea of the everyday battery life you can expect. We looked at YouTube clips from time to time and flitted between different news websites, and after 6 hours and 37 minutes the battery was dead. The LED screen was on a medium brightness setting throughout, a little over 120 cd/m². A DVD playback test is also customary during our battery life tests. The film ended abruptly after 5 hours and 49 minutes (349 minutes). The DVD was played using an external DVD drive connected via USB but with its own power supply. The Atom N450 only had to decode the picture signal. If the maximum possible energy-saving options are selected, the N220 can last as long as 8 hours and 43 minutes. In these 523 minutes the computer was on but was inactive, with its wireless deactivated and the lowest screen brightness selected. So the battery life which potential buyers can realistically expect is around 6 and a half hours. The Samsung N220 Maroh has TCO certification. This is stated on a note that comes with the netbook. Amongst the prerequisites for this certification is a very low energy consumption when the machine is in standby or off. In fact our multimeter measured only 0.2 Watts (standby) and 0.1 Watts (off). 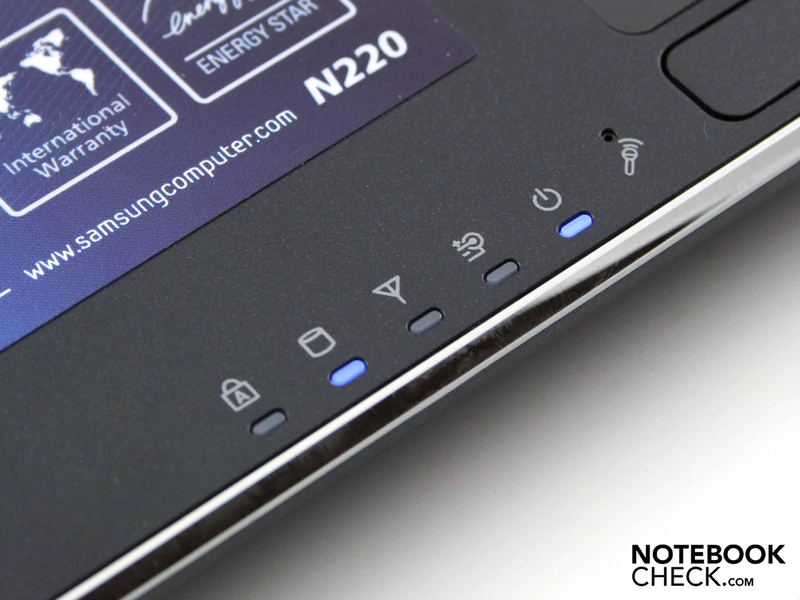 The N220's low energy consumption of 6.2 Watts when idle is one reason for the good battery life that we have already confirmed. If you make demands of the N220's hard drive and CPU, the energy usage can go as high as 14.6 Watts. The battery was not in when measuring the energy consumption. 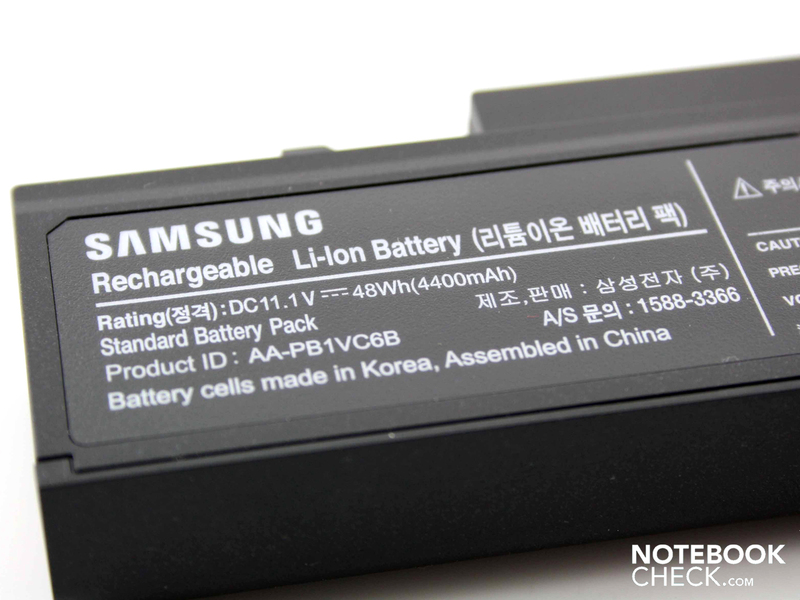 If the battery is inserted, 33.8 Watts is spent in charging it. 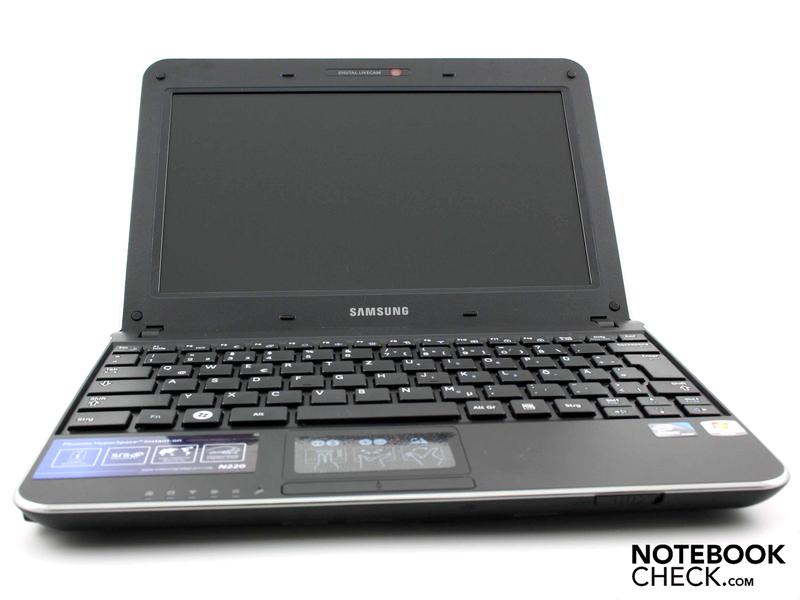 The Samsung N220 Maroh, specifically the NP-N220-Ja03DE version tested here, achieves pretty much all that can be expected of a modern netbook it its price range. Of particular note is the robust case, the excellent keyboard and the low system noise. For hours there was not a sound from the fan. And when it did come to life, it was still so quiet that even the spinning of the 250 GB hard drive was louder. But one can hardly talk of 'loud' or 'noise' in this context. 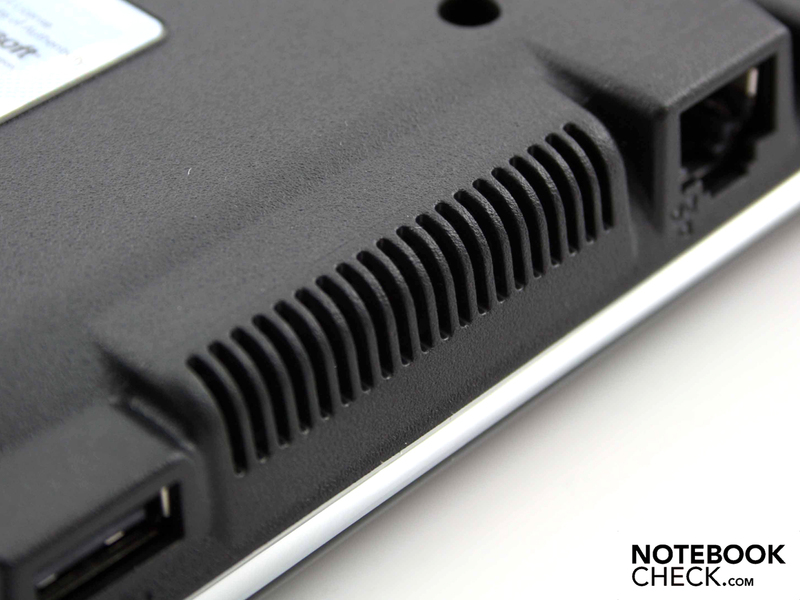 The N220 Maroh is almost as quiet as a netbook with no fan. However the surfaces temperatures remained very cool. The highest temperature under heavy use did not rise above 37 °C, so users will not burn their hands. Nor will they be disturbed by reflections, should they choose to use their netbook on the beach; the anti-reflective WSVGA screen has above-average brightness and an acceptable range of viewing angles. The Samsung N220 Maroh can be bought from around €340 in the shops. This makes it around €70 more expensive than the new Asus Pine Trail netbooks - an Eee PC 1005P costs €270 at the moment. 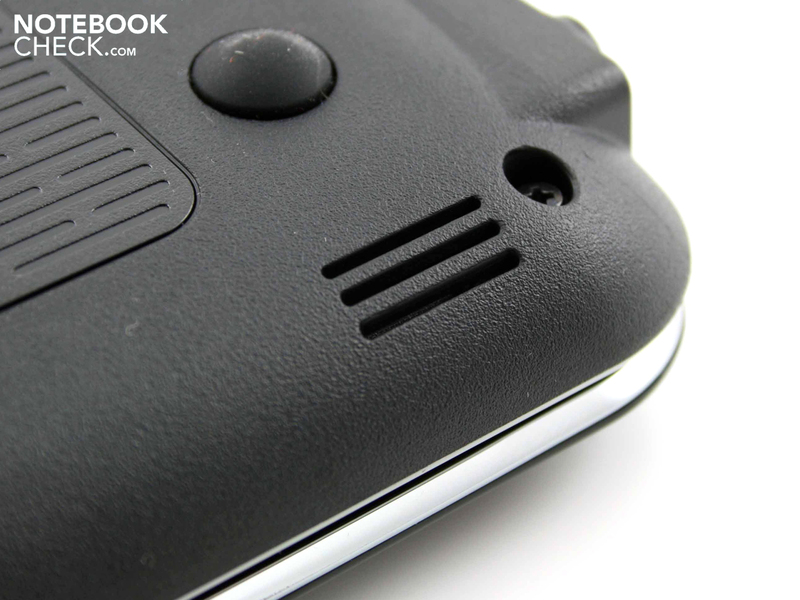 But the N220 offers more value for money, with its robust case and practically non-existent system noise. 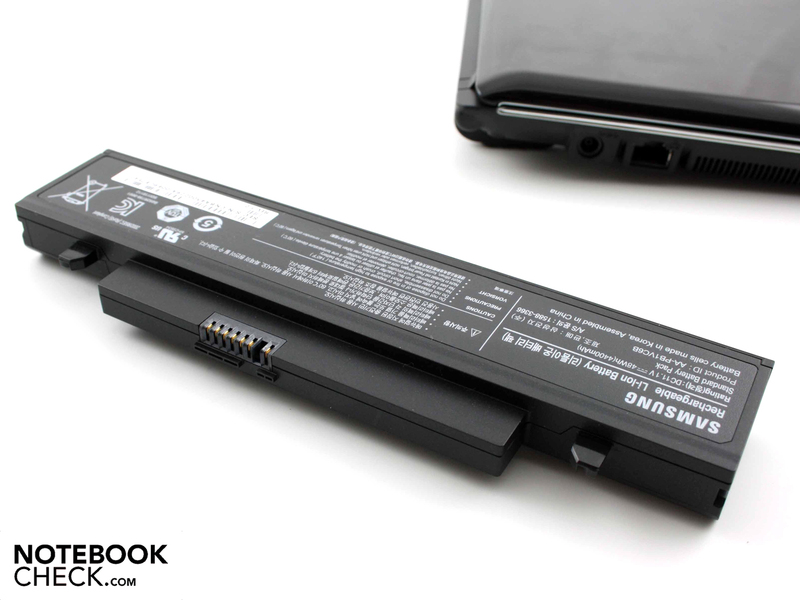 There is no difference between the netbooks in terms of battery life. 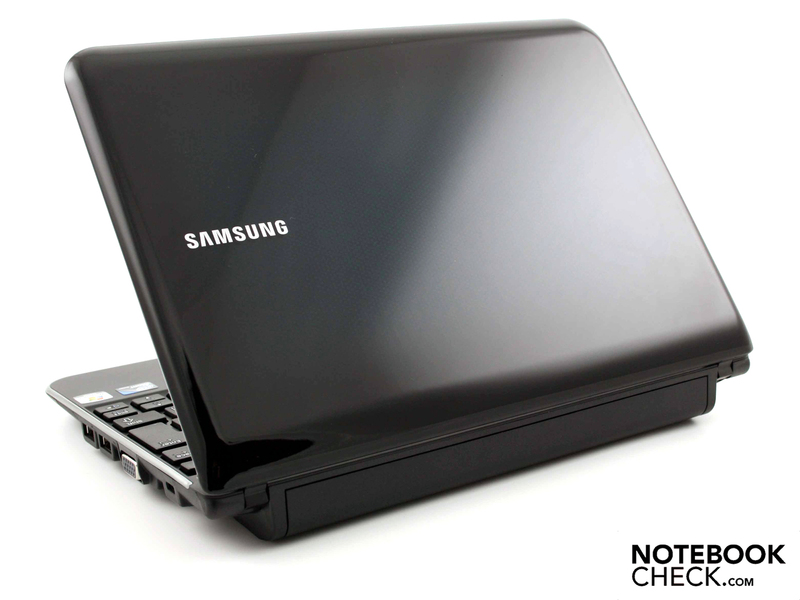 Buyers looking for an uncompromisingly good netbook with the latest technology should consider the Samsung N220, despite its higher price. The one thing that you should not expect is the speed of a Core 2 Duo notebook. 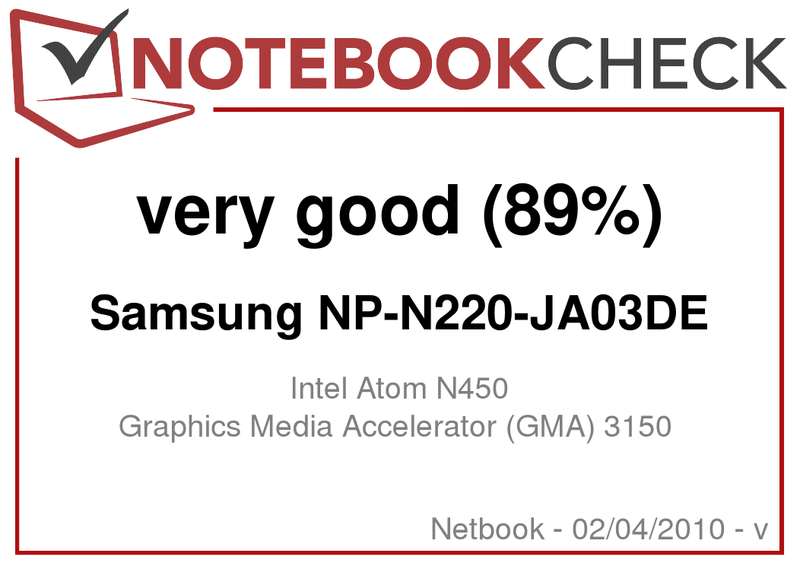 Even ION based netbooks have markedly higher performance than this. 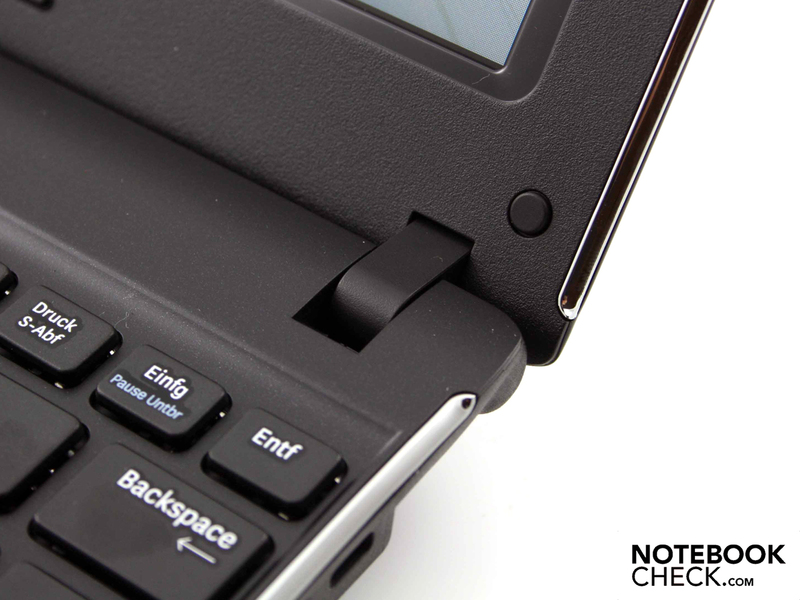 The N220 will always be a netbook for wireless web surfing and checking emails. Samsung N220 Maroh - you can't warm your hands on it in winter. 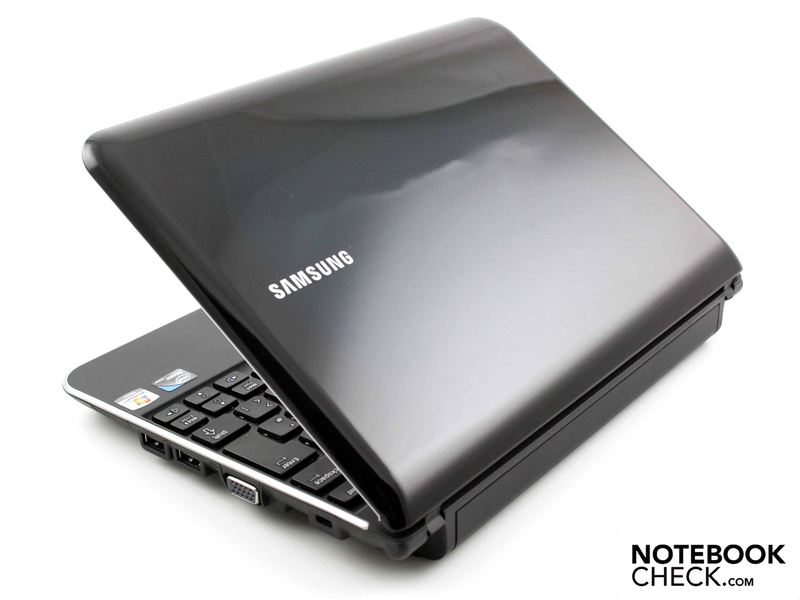 The Samsung N220 Maroh is a 10.1-inch netbook. 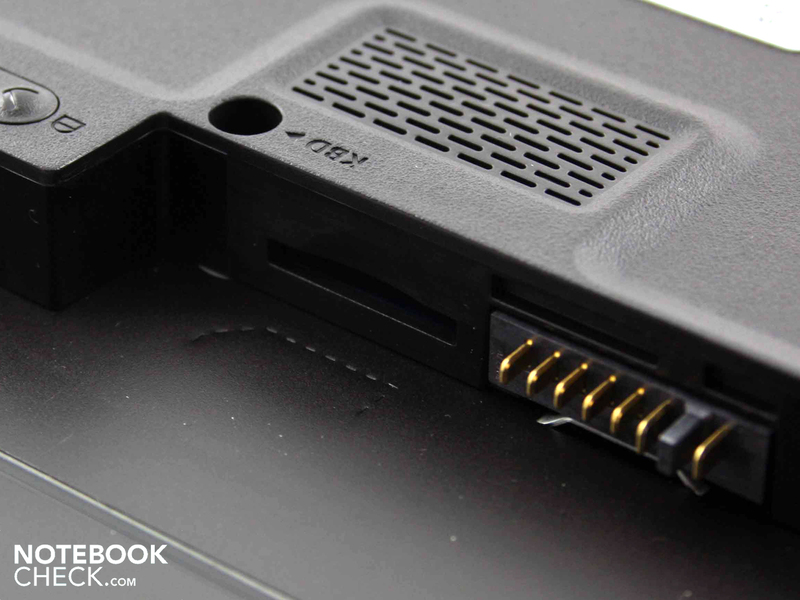 There is no HDMI port on the netbook. And the poor quality VGA webcam is no substitute for this. The inside surfaces are predominantly matt. On the underside there is a panel for changing the RAM. and the top side of the netbook pleasantly cool. So no one will be burning their fingers on the Samsung N220. it does not create a gaping hole between the lid and the base unit. 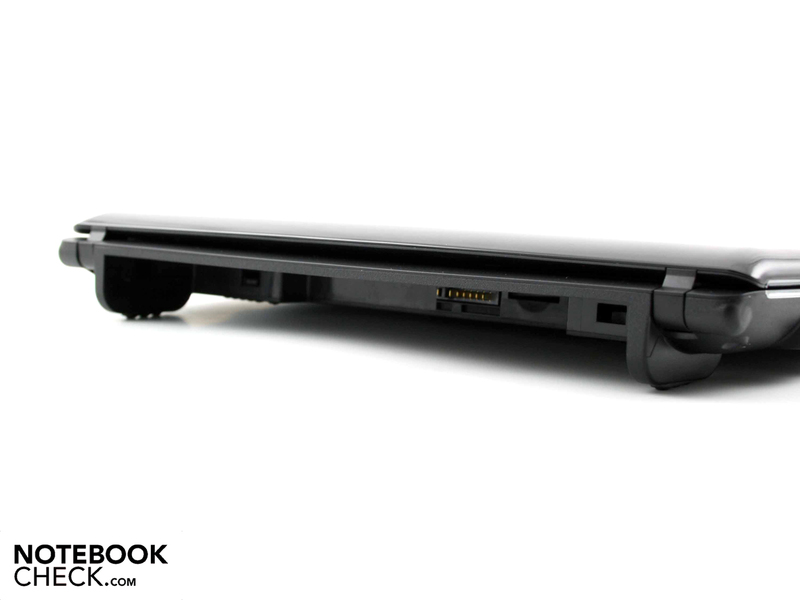 The large feet keep the netbook stable, even without the battery. Underneath the battery we found preparations for a SIM card slot. So bumpy car rides are no problem for the N220. and it does not wobble when opened. and even the lid is very solid. but there is a 3D pattern underneath. We have the crystalline green model, but you can only make out the green from very close up. 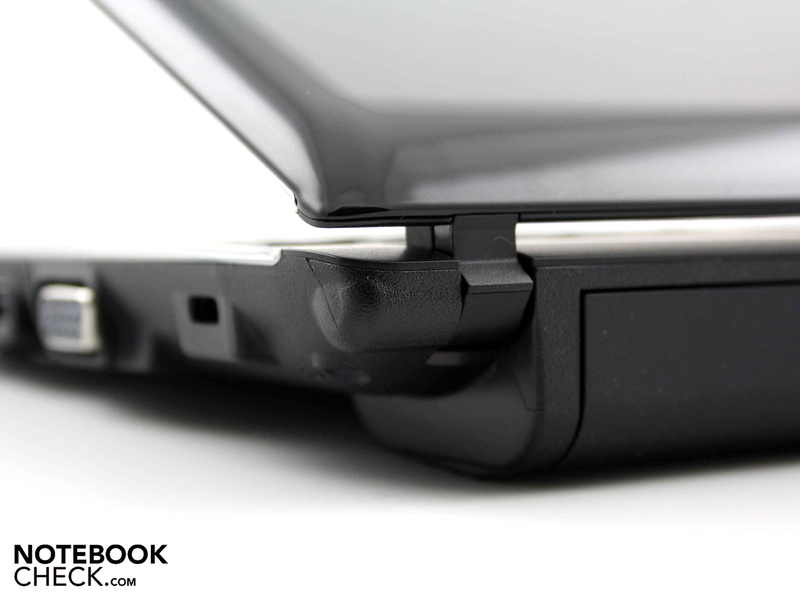 The lid may be as robust as the rest of the case, but it is liable to pick up scratches. but it does come with instructions and a soft carry case. There are lots of details to explore. This is the on/off switch. which itself is decorated with status LEDs. The blue LEDs show up particularly strongly in the dark. 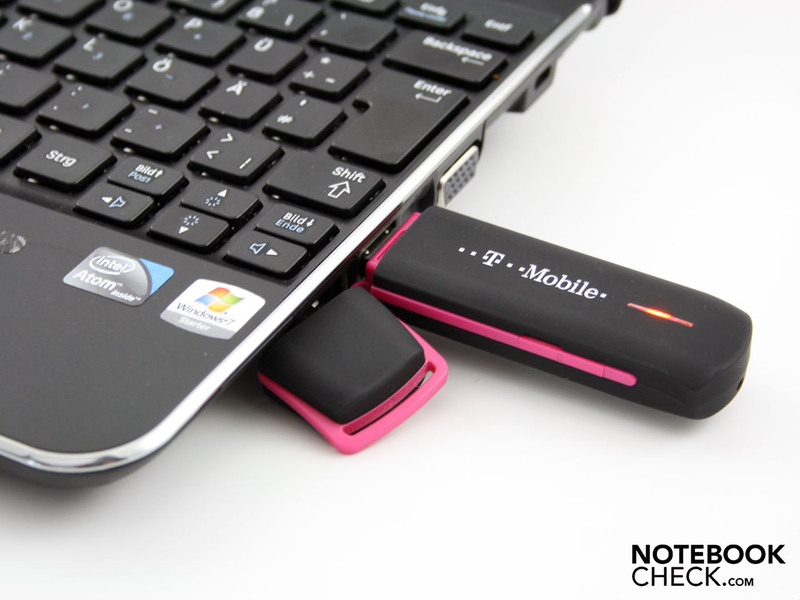 invites the use of mobile internet USB sticks. The matt-style surfaces, together with high-quality workmanship. The only things that are really missing are a native HD-ready resolution, an integrated 3G module and perhaps a switching graphics core platform (such as ION 2). 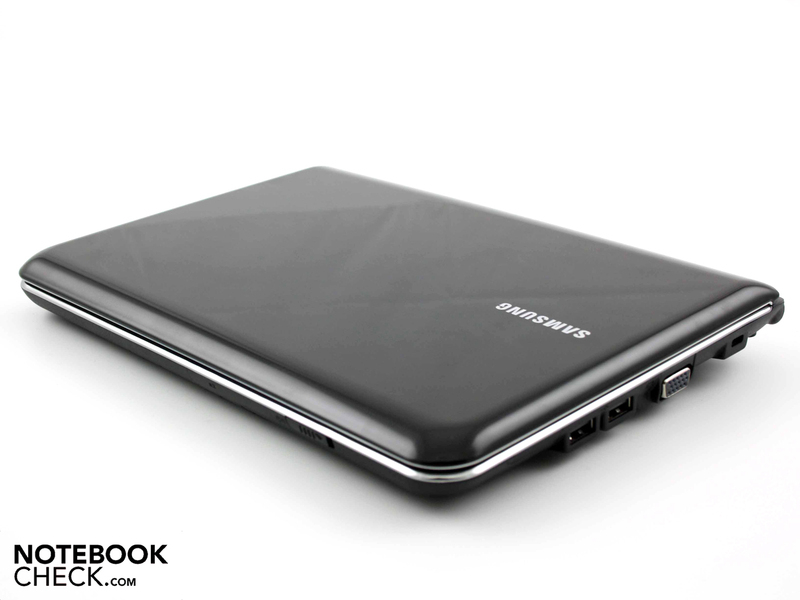 Then this netbook would be perfect. 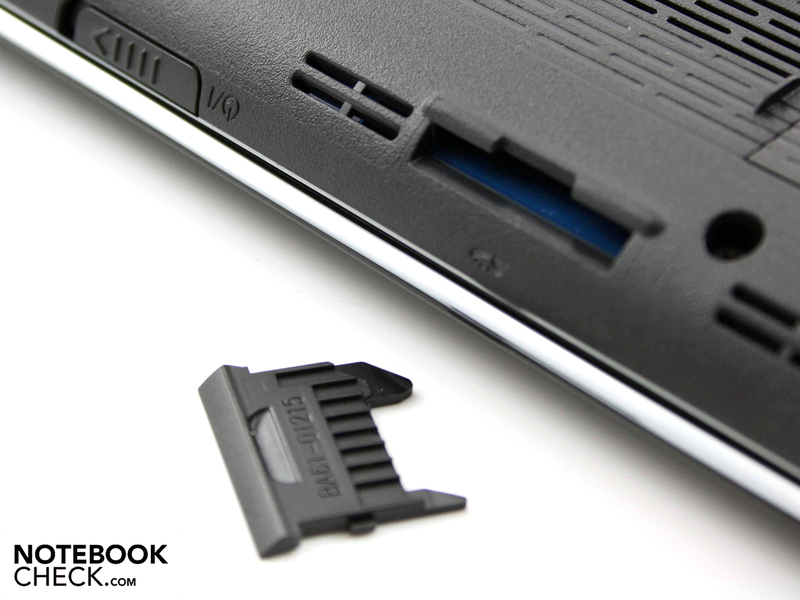 What a good impression the effective cooling system of the 10-inch netbook had on us. Foremost in terms of affordability is the Asus Eee PC 1005P from about €270. A pricier but more striking alternative would be the Eee PC 1008P Karim Rashid. The MSI Wind U135 is available from €319, but the battery life is not as good as the Samsung N220's.